God continues to bless us with open doors for church plants and new opportunities for ministry.So much so that we do not have enough Pastors and leaders to fill them. We have put a focus on leadership training and pastor workshops. 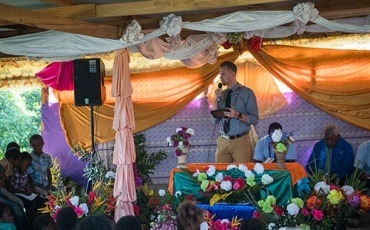 We are currently in the planning phase for a Bible Training Center where we will raise up new national Pastors and church leaders to reach Tanna and beyond for Christ. 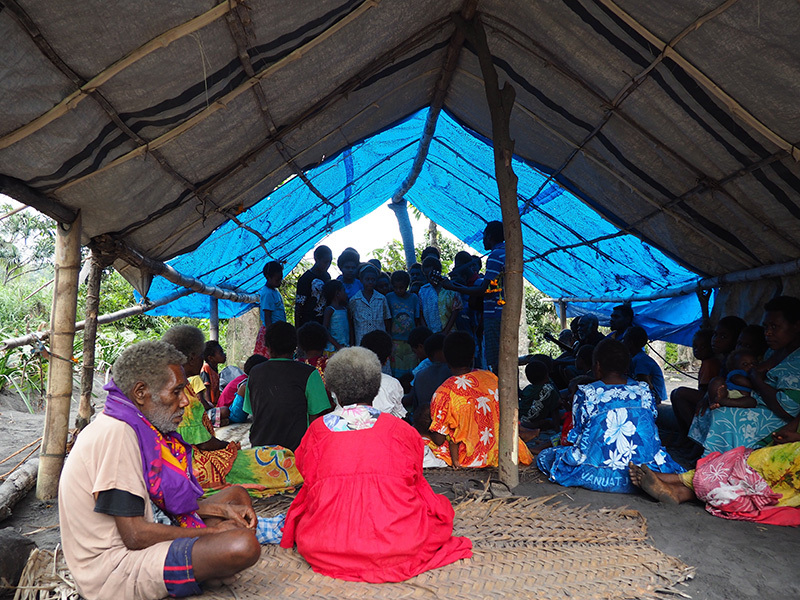 We have a vision to see a growing church accessible to every people group in Tanna. Many of these people groups are not accessible by vehicle so a major focus of ours has been trekking. We have been strategically trekking to every major area of Tanna and God has opened up doors in ways that only He could do. We have found that if we simply GO where He leads, He has gone before us and prepared the way! We love investing in our community as a family and creatively connecting with villages and surrounding areas. One way we do that is to create opportunities for outreach, sometimes it comes in the form of a event or celebration, other times it comes by loading up the back of our truck with mangos and distributing them to villages that do not have fruit trees. We love working with pastors and existing believers to create opportunities to reach others and connect them with Christ. God has filled our family with a passion to share the Gospel wherever He would send us. 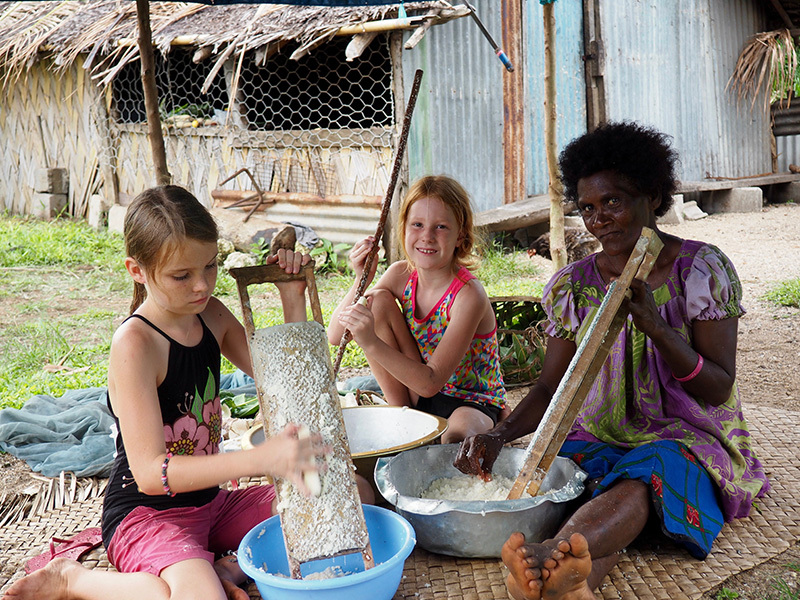 We have been serving in Vanuatu since 2015. We have been living on Tanna the southern most island and God has been opening up amazing doors to share the gospel to the unreached tribes located throughout the center of the island and encourage the existing church. We are committed to take the Gospel as a Family to where it has never been. We are excited to serve as a Family. You could say we have spent our childhoods training for this. Both of us are both Missionary Kids from Asia Pacific. Sam grew up in Japan and Lisa grew up in Tonga and Guam, where we were always working and serving beside our parents. We are so excited that our family has been called by God to serve in the nation of Vanuatu as a Family by living out the Love of Christ. Your faithful support ensures that our family can continue to pursue the ministry God has given us. Consider a tax-deductible donation of $250, $500, or $1000 to help us in the next four years of ministry. Three ways you can join the team. Your faithful support ensures that our family can continue to pursue the ministry God has given us. Thank you for partnering with us! Your prayers are the difference maker! 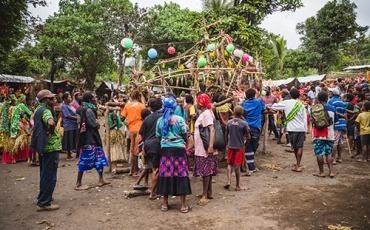 Join us in praying for the people of Vanuatu and "like" our Facebook page "Serve Live Love" to stay up to date on ministry news and prayer requests. 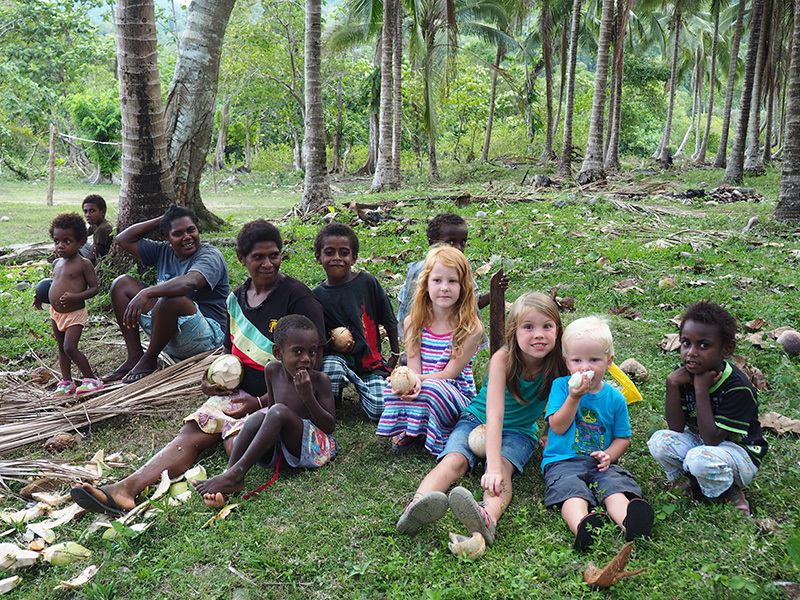 We are looking for people who want to join us on the ground in Tanna! 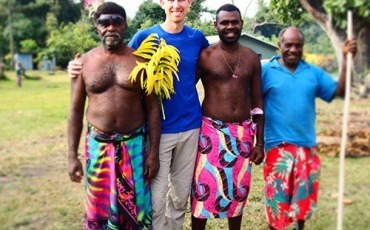 Whether you come for a few weeks, a year, or a lifetime, we have opportunities for you to make a difference in Vanuatu. We know God has an incredible plan for you life! Contact us for more info. Serve, Live, Love © 2018 All rights reserved.